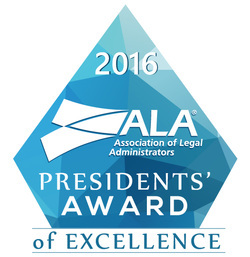 It seems that electing an ALA President is much easier than electing a new President of our country. The unknown and change can be unsettling but the strength we all have carries us through. I know my last months’ message spoke a good bit about being thankful, however, with the holidays just around the corner, it is hard not to take a moment and remember all the blessings we have. It was great to see some of you at our recent events and so happy you were able to take the time as we know everyone is busy. 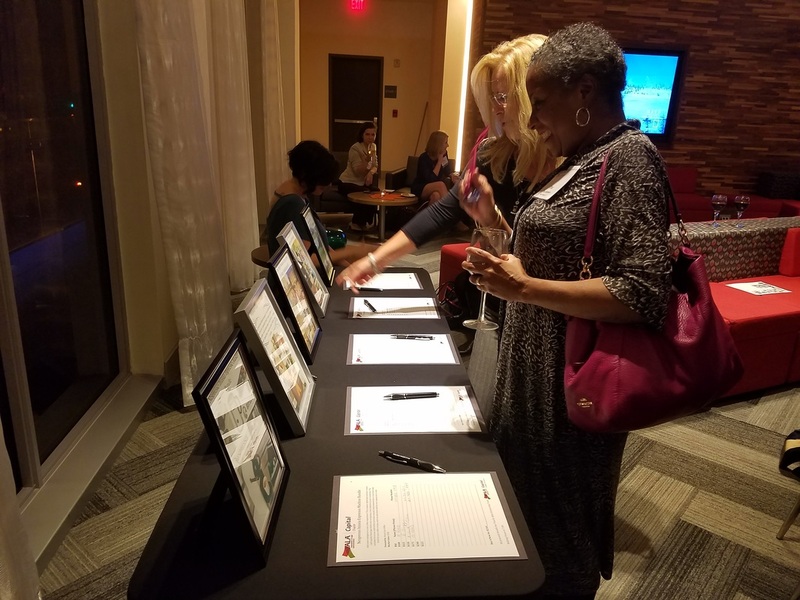 The Happy Hour and Silent Auction to benefit the Toni K. Allen Scholarship Fund, the Catering Extravaganza of the Branch Section and the presentation on social media are just a few not to have been missed. I hope to see more of you at upcoming events, including our Holiday luncheon on December 8th. ‘Tis the season for giving and our Community Services Committee has provided us some wonderful opportunities to give back. Thank you to all that have already committed to supporting the 3 wonderful organizations, Bright Horizons, Safe Shores and N Street Village. There are still opportunities to provide support and the needs are great so be sure to look at the Chapter website on ways you and your firm can participate. The file intake and integration of new IP files carry considerable risk to your firm. Therefore, there are several areas of importance that should be considered during an IP file intake. Prior to the arrival of a new intellectual property portfolio at your Firm, it is important that several questions are answered: How many files are expected? What type of portfolio is being transferred, i.e., patent, trademark, copyright, etc.? Will you receive electronic or paper files? Will you receive a docket? How quickly does the client expect the information to be available? Does the client require portal access to the portfolio? This will allow your intake team to plan for maximum efficiency. It is also important that all documentation relevant to the files being transferred are requested as part of the process. Documentation should include all applications and registrations, all correspondence between the attorney and prior owner, all correspondence between the USPTO or other governmental entities, copies of all contracts and agreements, and any other pertinent information. The receipt of such documentation will allow for a smoother intake process. You should also request, at a minimum, two docket reports. One for all matters due within the next 30, 60 or 90 days and another that covers the entire portfolio. This will allow the docketing and legal team to prioritize matters as the files arrive and assess work that will need to be done immediately. You may want to consider requesting all files with an immediate due date; again 30, 60 or 90 days, are boxed and shipped together. This will allow immediate access to the files upon arrival and more speedy processing. All files should immediately go through a thorough file review process. The files should be inventoried to verify what has been received. Files should arrive with a transmittal letter detailing those being transferred. If a transmittal letter is not received, request one immediately. When received, compare the files noted on the transmittal letter to those actually received for accuracy. Once confirmed, a signed copy of the transmittal letter should be returned as confirmation of receipt of the contents listed. Simultaneously, if the files received are part of an asset acquisition there should have been a schedule detailing all of the assets being acquired. This schedule should be used to verify what should have been sent as part of the acquisition. At the time the transmittal letter is sent back, your firm should identify what on the schedule was not received, requesting an expected receipt date. Also, the docket report provided should be reviewed to determine if there are any immediate deadlines. This allows for the prioritization of workflow and the confirmation of a date when your firm will become responsible for the portfolio. Although it varies by firm, matters with the most immediate deadlines (i.e., 30, 60 or 90 days) should be processed first. 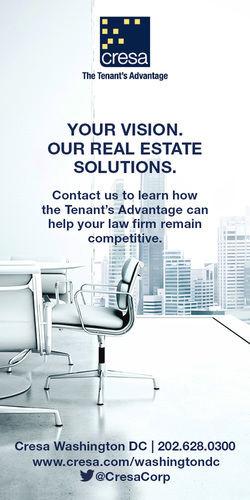 The attorney responsible should be notified of any deadlines that require immediate attention. Based on how the files are received (electronic or paper) it is important that all information is entered into your docketing database. If paper files are received, it will require manual entry of data. This can be a long process, depending on the number of files received. If properly planned, electronic files may be imported into your docketing database. This allows for a more efficient intake process. However, regardless if the intake is via paper or electronic, a manual audit should be done by the docketing team of the information in the docketing database to confirm the accuracy. Data available in PAIR, TARR, and foreign patent and trademark offices may be used to confirm accuracy of the information. Matter numbers must also be opened for the new portfolio. This can be done in many ways depending on your firm's process. Also, if your firm maintains paper files, you will need to have new files created. Again, how this is done varies among IP firms. You should use the file creation method based on existing procedures. Once files are added and audited by the docketing team, a member of the assigned legal team should review the information in the docketing database to ensure the information is accurate. Like the docketing team, the legal team should review PAIR, TARR, and foreign associates websites, as available, to determine if there are deadlines that are not in the docketing database. The second review also allows the legal team to determine if there are deadlines or issues with the portfolio that should be brought to the immediate attention of the responsible attorney or docketing staff. It is important that your client execute a Power of Attorney in order for your firm to take over prosecution of the patent and trademark matters. A Power of Attorney should be filed for every patent and trademark application and registration being prosecuted by your firm. The Power of Attorney may be filed electronically at the USPTO. Note, you will not receive notification of new documents issued by the USPTO without acceptance of Power of Attorney. Recordal of the chain of title is not always required to make a valid transfer between parties. It does, however, provide legal advantages and it also may be required to validate the transfer. Patent and trademark assignments may be easily submitted electronically at the USPTO. Although the Copyright Office does not have a formal process or specific form of copyright assignment, the law does provide for the recordal of transfers of copyright ownership in the Copyright Office. There is a formal process to transfer the rights in other intellectual property such as domain names. It is important that you research to ensure the transfer is handled correctly. There are attorneys (foreign associates) in foreign jurisdictions licensed to handle intellectual property rights in those jurisdictions. You must communicate with each foreign associate that your firm is now responsible for the matters received. The letter should also request any information not provided or missing in the intake documentation. It is a good idea to request a complete list of all matters handed by the firm related to the portfolio, along with a current status. This allows you to confirm that the information in your docketing database is accurate. Your firm may need additional information from your client in order to complete the intake. Also, you may need to outline for the client issues that need to be addressed. Typical immediate needs include instructions for responding to office actions or other PTO communication. In the case of trademarks, this may require that the client do some research on how the goods and services have been used and consider if and how they may be used going into the future. You may also need to ask your client to provide current specimens for the goods or services. All of the above steps should take place simultaneously to allow access to case data as quickly as possible to the legal team. The intake process may be a long and tedious process based on the number of filed received. The process should not be deemed complete until all files have been reviewed, audited, and your firm has been confirmed as attorney of record by all foreign associates and the USTPO. It is important that someone in your firm is responsible for managing and tracking the intake process for all new files. A delay in any of the steps can stifle the entire process and cripple an efficient, risk free intake. Finally, it is of the utmost importance that your firm has detailed, written file intake procedures and they should be readily available for review by all firm personnel. The procedures should be approved by all persons involved in the intake process, i.e., docketing, technology, attorneys, records, etc. Being unprepared should never be the reason for a failed file intake. November 22: Feast of Christ the King, the last holy Sunday in the western liturgical calendar. This day is observed by the Roman Catholic Church, as well as many Anglicans, Lutherans, and other mainline Protestants. November 27: The beginning of Advent in Western Christianity, which is a beginning of a season of preparation for the birth of Jesus. In Eastern Christianity, the season is longer and begins in the middle of November. There’s a diversity of facets to diversity training. But in our increasingly global and mobile world, one of the most important is cultural competence. More than ever before, people are likely to work daily with people from other cultures. But cultural competence can be one of the most challenging skills to learn. That’s because you’re dealing with thousands of cultures that have developed over thousands of years, with infinite shades of gray within them. 1. Beliefs and Worldview – people have fundamentally different ways of seeing the world, and their role in it. In the West, people tend to believe they’re in charge of their fate. But most other cultures are more fatalistic: either it’s meant to be – or not – which has significant impact on multicultural teams. 2. Communication Styles – different people have wildly different ways of communication, especially regarding context and directness. In North America, people tend to say what they mean. But in most other cultures, people are more indirect, which can seem confusing or even misleading. 3. Formality – cultures differ greatly in greetings, manners and etiquette. In the United States, people tend to be casual, both in dress and behavior. But in most other cultures, formality is more valued, and is an essential sign of respect. 4. Hierarchy – cultures differ in whether their societies are horizontal or vertical. In the West, people are generally seen as equals. But in Asian, Latin, and Middle Eastern cultures, there is much more emphasis on – and comfort with – hierarchy and strong leadership concentrated at the top. 5. Perceptions of Time – in addition to diverse religious and cultural events, people differ greatly in their perceptions of time. Americans tend to be short-term and fixed; deadlines are deadlines. But in many other cultures, people tend to think more long-term, and dates and deadlines are more flexible. 6. 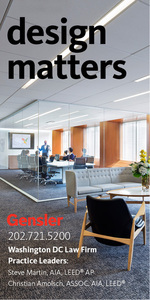 Values and Priorities – in North America, there is greater emphasis on the individual and career, and less loyalty between employer and employee. But in Asian and Latin cultures, there is greater emphasis on the group, and long-term business and work relationships. 7. Everyone’s Unique – finally, it’s important to remember that cultural guidelines are only that – guidelines. Every person is as unique as their singular fingerprints, and it’s important to perceive the individual. In summary, we all need different skills in order to effectively do our jobs. And today, as our world becomes ever more interconnected, cultural competence is an essential skill for almost every workplace. 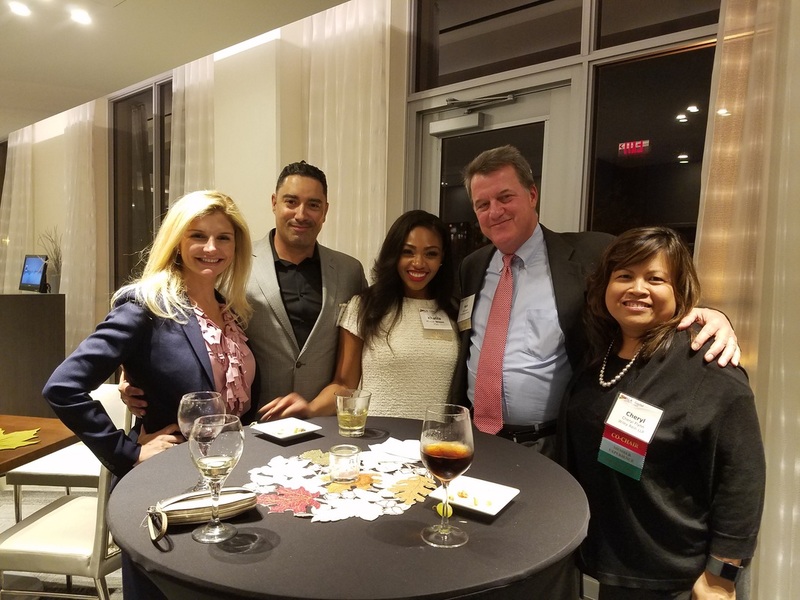 On October 13th, Capital Chapter members and Business Partners gathered at the W Washington for our last Quarterly Networking Lunch of the year. Guests mingled in the rooftop POV lounge overlooking the city prior to the meal, and were treated to a surprise appearance by Marine One! At the start of the lunch, the doors to the ballroom opened to reveal coloring books and colored pencils at each place setting. Chapter President Barbara Mannix kicked off the lunch by introducing the afternoon's theme: wellness. As we enter the hectic holiday season, it's important to practice self-care by finding ways to unwind and reduce stress. Studies have shown that coloring helps improve focus, reduce anxiety, and promote mindfulness, making the coloring books a perfect souvenir to help attendees manage year-end stress. To round out the mindfulness theme, the lunch featured family-style spa cuisine to help guests care for their bodies as well as their minds. Thank you to everyone who attended our last Quarterly Networking Lunch of the year! We wish you a stress-free holiday season, and we look forward to networking with you again in the new year! Royal Cup takes extreme pride in all of the products we produce. 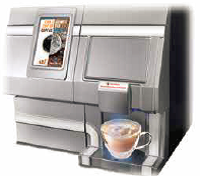 Since we developed our single cup pod system, Roar, we have searched for a way that each cup of coffee could benefit something bigger than just satisfying the need of the customer. Since a good cup of coffee really starts with great quality water we were able to create a partnership with Neverthirst. Neverthirst is a nonprofit organization based in Birmingham, Alabama, where our headquarters is located. Neverthirst is dedicated to providing clean and living water to villages around the world. With this partnership, a portion of every Roar pod and whole bean selection will go directly to Neverthirst. Another great aspect about this organization, is they do not only create fresh water for these communities, they arm the community locals with the tools and knowledge to keep the wells fully functional for the future. Since 2008 this organization has completed more than 5500 projects and served over 400,000 people. Their impact so far has been amazing, and Royal Cup cannot wait to contribute to this incredible cause. This means that any customer participating in our Roar single cup program as well as using ROAR whole bean products will be contributing fresh water for communities in developing countries. We will be able to track each customer’s contributions, and our large contributors will have the potential for their organization name to be on the well that was built due to their coffee consumption. Royal Cup will be matching each contribution penny for penny. Based on our current Roar sales, we are confident that we will have significant donations for the first year. If you have a whole bean to cup machine and would like to try out our whole bean selections to contribute to this cause, we just produced several options to choose from, Signature Blend (dark), Dakota Roast (dark), Breakfast Blend (light) and Donut Shop Blend (medium). Our Roar pod machine is pictured below, and there are 17 different varieties of pod selections available, with 4 more being released in the near future. This partnership aligns with Royal Cup’s goals of lasting sustainability as well as community outreach. As a Royal Cup Coffee employee, I am proud and excited to be able to work for a company that strives to do more than to create great products and give sensational service. Helping people is extremely important, and it’s wonderful that Royal Cup can integrate that into our everyday business. More than 3.4 Million people die every year from water sanitation and hygiene-related causes, nearly all deaths (99%) occur in the developing world. Royal Cup wants to slash that number. Your cup of coffee could change the world, are you ready to ROAR? This article is probably atypical of what you might expect from the Chair of the Capital Chapter IP section. However, with Thanksgiving around the corner, it is more than an appropriate reminder about being thankful – and good ole’ Hamburger Helper. Recently, my family met with a photographer. We take photos every 2-3 years to get a snapshot of our constantly changing family and pause to laugh, joke and just have fun together. However, this time we had a heartfelt conversation about how thankful we are for family. It was during one conversation that my oldest son mentioned innocently how he was thankful for Hamburger Helper. I had my first child when I was 15 years old. I got married at the age of 17. By the age of 21, I had three kids – all boys. At the age of 25, I was divorced with no spousal support, living in Chicago with minimal pay and limited opportunities. I just had hope and a dream that I would someday be able to provide and make a better life for my boys. While in Chicago, I worked as a legal secretary, after moving my way up from the office services department, for a small litigation law firm. Although I loved my job, the salary was low - not enough to take care of a family of four. Therefore, I was appreciative of the free breakfasts and lunches provided by the Chicago Public Schools. Since breakfast and lunch were a given on most days, there was always a question about dinner. Dinner was determined by what was in the refrigerator or freezer. If it was immediately after payday we would have a wonderful spread. However, meals a few days before payday were questionable at best. Sometimes, I would have to be creative. This was a different experience for me as I was raised on a 40-plus acre farm in Mississippi, where vegetables, fruit, and meat were readily available. We always had food! Funny, as a child I can only remember going to the “farm and feed” to buy white sugar, overalls for my grandfather, and penny candy. So, having to struggle to put food on my table was a new and frightful experience. Plus, I had a stubborn streak and did not like to ask others for help, even from my family and friends. So, while looking at the outer me one would have thought I had it all together with no worries; inside I lived in constant fear of hunger and homelessness. Back to the family photo shoot. While talking about our family and struggles, my oldest son reminded me that it seemed we always had hamburger and/or Hamburger Helper when there may have been nothing else in the freezer. These two staples were our lifeline. If one item was missing, he remembered how I would send him and his brothers to the grocery store for the missing item. He knew the exact aisle of the Hamburger Helper and hamburger. He knew all of the flavors (choosing flavors became a game) for Hamburger Helper. He knew the approximate cost for each item. He expressed his gratitude for Hamburger Helper. His recollection of Hamburger Helper brought about many memories and tears. Unfortunately, he didn’t understand the complete role Hamburger Helper has played in our family. I thought about how creative and precise I had to be to ensure that all three of my boys had enough to eat. I would let them eat first and only eat if there was enough for me. If not, I would drink water for dinner or go to bed hungry. I thought about having to check the $10.00 “emergency fund” under my bed and count how much Hamburger Helper and hamburger I was able to buy until payday. In light of my Hamburger Helper purchase, I thought about having to walk more than 20 blocks in the brutal Chicago winter to work because I lacked bus fare when the “emergency fund” was low. I thought about my appreciation of the Chicago Public Schools for providing my sons with breakfast and dinner when we needed the help most. And I thought about how fortunate I was to have parents and friends who helped provide for my children. Finally, I thought about how thankful I am for my boys and the young men they have become, regardless of our hardships. Our experience has brought us together as a family. Thanksgiving calls us to acknowledge the blessings in our lives, both seen and unseen. The holiday leads us to remember what’s important, while giving thanks for all of the people, experiences, and opportunities we have been given. However, it’s not only a time to think about your family and friends. It’s also time to think about others who are less fortunate. The less fortunate are not always easily recognizable. It may be someone on your staff, in your family or simply a friend. Some, like me, may have a smile on their face but live in constant fear of providing for their family. Some, unbeknownst to you, may go to sleep hungry tonight. Some, like me, may be suffering in silence. Some, like me, may not have the means to get to work tomorrow morning. You never know as those in need are sometimes faceless. Thinking back now, I would not give back my days in Chicago for anything. Those times taught me to be thankful, while never forgetting the plight of others who are less fortunate. It has allowed me to appreciate loved ones, value the small things, have a giving heart and understand it’s not about the rewards and recognition we might receive for doing good. Remember to please give this holiday season. There are those that need your help. The ALACC Networking Happy Hour & Toni K. Allen Scholarship Fundraiser Silent Auction event was held on Thursday, November 3rd at the Cambria Hotel & Suites. 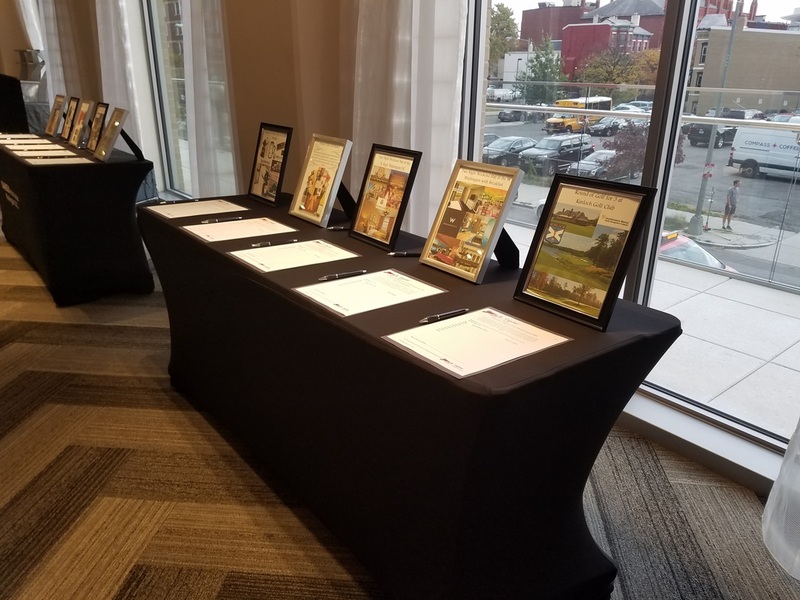 Guests enjoyed beer, wine, mojitos, and a selection delicious appetizers while they mixed, mingled, and bid on 10 incredible auction items to support the Toni K. Allen Scholarship Fund. Thanks to all of the generous donations made, we were able to raise a total of $3,450 for the Toni K. Allen Scholarship Fund. As always, we appreciate your support of our community and our kids! Additionally, the Chapter would like to thank the Cambria Hotel & Suites for their incredible hospitality, and for graciously donating the use of their beautiful space and the food for our event, as well as a weekend stay with breakfast for the silent auction. The Cambria also generously offered our guests discounts on room rates and holiday parties for the upcoming holiday season - please contact Ayesha Arora for details. The 2017 Business Partner Program Rollout was held on November 9 at King & Spalding. In attendance were many of our Business Partners as well as members of the Capital Chapter Executive Committee. The rollout event was an opportunity to review the sponsorship program, introduce changes to the program for 2017, and gather feedback from Business Partners. For the 2017 sponsorship year, we are excited to introduce several new benefits including additional marketing opportunities, a redesigned membership incentive game, a Business Partner catalog, and a new system for scheduling section meeting presentations. Popular program features returning in 2017 include the our unique flexible event ticket system assigned seating at networking lunches, the new member Ambassador program, and social media announcements. 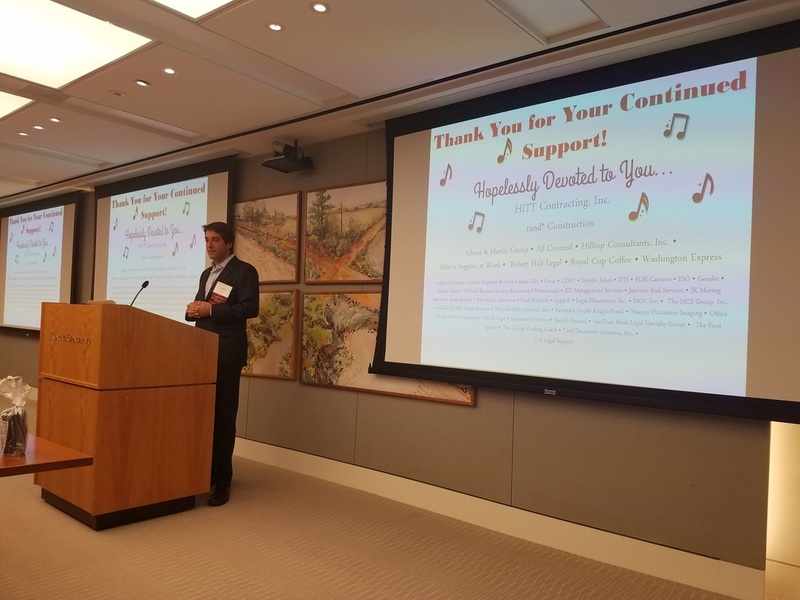 During the presentation, Vice President of Business Partner Advisory Frank Schipani thanked our Business Partners for providing support and subject matter expertise to our members throughout the year, and stressed the importance of taking a holistic approach to sponsorship. 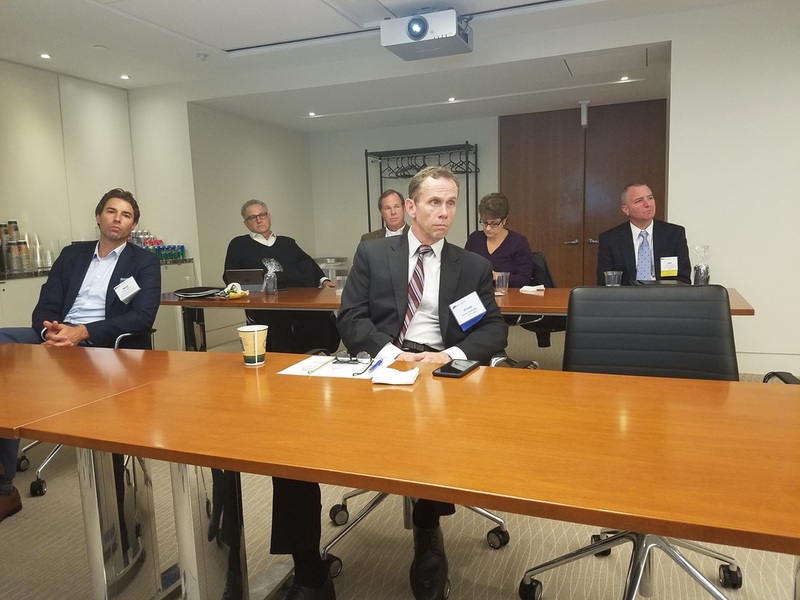 The Capital Chapter prides itself on offering a robust Business Partner program which provides a multitude of opportunities for Business Partners to network, share their expertise, and market themselves. The key to maximizing your success in the program is to take full advantage of the different types of benefits together throughout the year instead of relying on only a fraction of the resources available to you. The 2017 sponsorship program and the introduction of detailed benefit guides for each level of sponsorship are designed to help Business Partners succeed in 2017. We would like to thank all of our Business Partners for a fantastic year! We appreciate your continued support, and we look forward to working with you in the coming year! It’s that time again! The time of year that everyone waits for, but no one can believe how fast it arrives. With the holiday season upon us, we’re all looking forward to spending time with our family, friends, loved ones, and co-workers (yes even co-workers). It’s important to make sure that we keep influenza off of the invitation list, and arm ourselves with the wellness protection we’ll need over the holidays to ensure that the only thing that we spread this year, is cheer. Influenza, or flu, is an illness caused by a virus transmitted through tiny droplets of moisture, created when people with flu cough, sneeze, or even talk. Since there’s no better time to catch up with everyone than over the holidays, this unfortunately means that it has plenty of opportunity to jump from person to person. The flu virus is very contagious, and can be spread by someone that has flu from the day before they start to feel symptoms, up to seven days afterwards. Regardless of how careful people with the illness can be, these viruses settle and accumulate on germ hot spots. Some people associate flu with having a fever, and while this can be a nasty symptom, not everyone with flu gets it, so don’t rule it out even if you don’t have this symptom yourself. Although most people get over the worst of the flu in a week or so, it can be very unpredictable and certain people are at greater risk of serious complications, particularly young children and the elderly. The best cure is always a strong defense, so make sure that you’re well protected and stocked up on the essentials: facial tissues, hand soap and sanitizer, disinfectants, etc. These essentials can help fend off sickness. Facial tissue serves as the barrier that keep the virus from spreading, especially when coughing or sneezing. Soap and sanitizer keep your hands clean and free of germs. Disinfectants work to fight back against flu by attacking the proteins that make up the virus. Using Disinfectant Spray/Wipes every day, kills 99.9% of viruses and bacteria. Routinely clean, sanitize, and disinfect surfaces; germ hot spots & touch points like your phone, computer mouse/keyboard, door handles, elevator buttons, stair railings. It’s imperative that we take necessary action to keep the workplace free of the contagious cold & flu viruses. Miller’s can be your ally in the fight against germs this cold & flu season. We can facilitate those ever-important steps towards implementing a Healthy Workplace regimen for your office. A wellness program that teaches proper hygiene protocol resulting in reduced absenteeism, and as close to a germ-free office setting as possible. Hopeful that it’s a Happy & Healthy one for us all. Happy Holidays from Miller’s, helping you to spread cheer, not germs. The days are shorter as we head into winter. Ask your building management to switch the cleaning staff to daytime cleaning, so reduce the need to turn on lights and use extra energy after building hours. The energy savings will go directly to the firm’s bottom line. The USPTO is continually working to enhance their filing and viewing systems. Over the last several months, we have seen the creation of Financial Manager, and we have seen several features develop under their new modernization initiative (eMod). eMod will be implemented in phases over the next few years. Within the eMod initiative, Patent Center will be the new system replacing the current EFS-Web, Public PAIR, and Private PAIR. For patent applicants, eMod will help provide an improved authentication process, improved functionality, and a user friendly interface. For patent examiners, the updated systems will help to streamline patent submission, review, and management processes. We have outlined some of the basics here, including the new Financial Manager, how to start your own individual uspto.gov account, and some detailed information about eMod and what to expect. Deposit accounts and EFTs that are not stored in Financial Manager as of October 2016 will no longer be viable payment options for customers. In addition, customers must have established a uspto.gov account and be set-up with the Fee Payer permission in order to use the payment method. To establish a uspto.gov account, please enter Financial Manager at www.uspto.gov/financialmanager, select "Create an Account" and follow the instructions. You can quickly migrate payment methods you’ve already established with the USPTO using the migration options. The USPTO made migrating your deposit accounts and EFTs over to financial manager a painless process. Financial Manager is the USPTO's new online fee payment management tool that became available to us in October 2016. 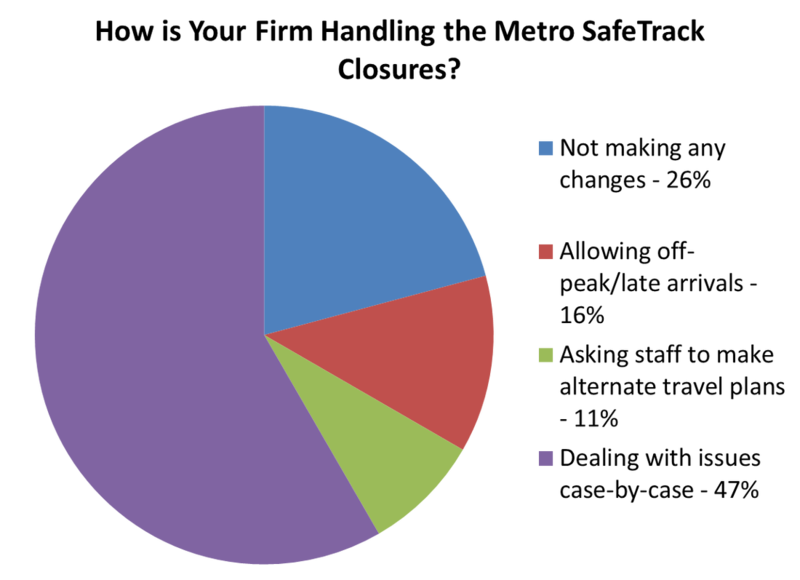 Pay USPTO fees using a stored payment method from the Patent Maintenance Fees Storefront, TEAS, TEASi, ETAS, OEMS, EFS-Web, and ESTTA. 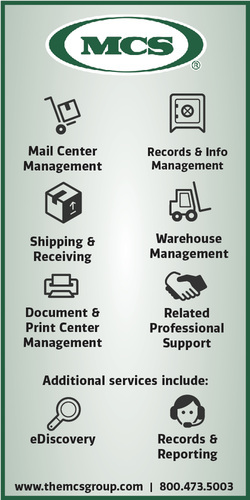 Find more information about Financial Manager at https://www.uspto.gov/learning-and-resources/fees-and-payment/financial-manager-information, or contact Financial Manager directly at FeesHelp@uspto.gov. eMod is the USPTO’s Modernization of the Electronic Patent Application Process. The USPTO wants to hear from you as they proceed with modernizing their filing and viewing systems. They have already started receiving feedback from the IP community and the public, and are incorporating these suggestions into the development process. The USPTO encourages you to review the ideas that have already been submitted on their Ideascale page and vote or comment on them. You can also communicate with them through email, or by attending one of their outreach events. Find more information about eMod at https://www.uspto.gov/patent/initiatives/emod-ecommerce-modernization, or contact eMod directly at eMod@uspto.gov. 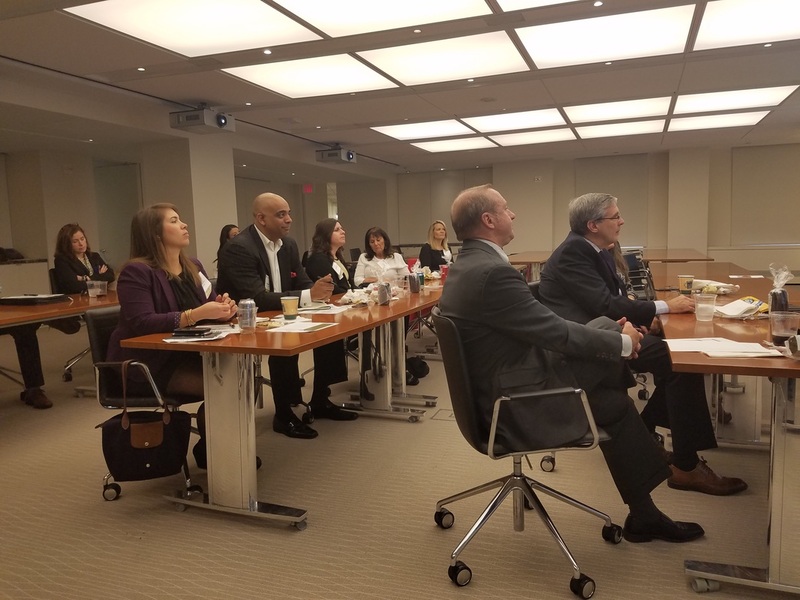 The patent community is very excited to learn about these new and exciting changes the USPTO is currently working on. Having the ability to work together with the USPTO on this initiative allows the IP community to let the USPTO see firsthand what works best for us, and what we in IP need to streamline the filing and viewing processes. The world of IP is ever-changing and so is technology. We are happy the USPTO is working on this initiative. We look forward to all of the changes the USPTO is bringing our way. On October 19, 2016, Vernā Myers, a well-known and distinguished diversity and inclusion expert, agreed to conduct her first ever webinar for the Capital Chapter. The webinar was based on her book What if I Say The Wrong Thing- 25 Habits for Culturally Effective People. In the 25 habits addressed in her book, Ms. Myers' explains each habit -- what you need to know; what the attitude is; and what tips we can practice to become skilled in an effort to become culturally effective in our organizations. We pre-selected 7 of Ms. Myers' 25 tips to be addressed during the hour long webinar. Ms. Myers' presented on habits and tips to include: getting familiar with our biases; being aware of our own culture and how it shapes our interactions; resisting elitism and embracing human value; avoiding micro-inequities; expanding our comfort zone and professional and social circles; and keeping our standards high. She offered narratives explaining each habit and tips for practicing culturally effective habits. Ms. Myers also explained the difference between diversity and inclusion and the meaning of cultural competence. In order to be affected, bring the best out of people, and cultivate culture by allowing for success and for the success of organizations, we must understand the difference between diversity and inclusion. Diversity is about culture, identity and experience. Inclusion goes beyond identity and includes the environment where indifference is invited, people feel welcome and treated with respect, and where they are afforded equal opportunity. Cultural competence (the need to understand definitions so our dynamics and interactions are positive), includes the following: awareness, knowledge, attitude, and skill. We must be self-aware and understand ourselves; we must understand that we all have unique experiences that are valid; we must be open-minded and positive; and we must practice daily behaviors to become skilled in cultural competency and to make a difference in our organizations in the areas of diversity and inclusion. Ms. Myers reminded us that we all have cultural identities and biases based on our cultural identities and lenses. More importantly, she reminded us that in order to move diversity forward, we must grow and connect to be part of the solution. As Ms. Myers states, "Diversity is more than what we can see than what we can't see." The webinar was well-attended (approximately 43 participants, many of whom had multiple listeners in their office), and 30 books were distributed to ALA Capital Chapter members. Thank you for your feedback as we continue to provide education on the topics of diversity and inclusion. We look forward to your participation in our 2017 diversity and inclusion programs! We would like to thank our Gold Business Partner Jim Turner and his team - Paul Toren, Jason Camp, and Daniel Clarke - at Hilltop Consulting, Inc. for providing technical support throughout the setup process and providing Vernā Myers with a support technician during her presentation. We could not have gotten this webinar off the ground without their help! If you are interested in purchasing Ms. Myers' book, you may do so here. For more information on the mission of ALA's Diversity & Inclusion Committee on the national level, click here. To review ALA's diversity brochure addressing the business case for diversity & inclusion, please click here. Rapport can be defined as “bringing agreement, harmony and accord to a relationship”. Isn’t that what we want in our connections – to discover points of mutual interest or common ground, reach agreements, live and work together in harmony and enjoy interactions along the way- with more ease? Rapport is the magic ingredient for getting along with our customers, co-workers, colleagues, committee members, families, friends, neighbors and everyone else we encounter in any role, anywhere, anytime. Getting along means smoother sailing, fewer hassles, and more fun! The key to revving up rapport lies in expressing the same qualities that people find attractive. It’s the pleasure/pain principle in action. We move toward the people we like - those who are easy to get along with, who make us feel comfortable, who bring out our best qualities (including our smiles, laughter and good feelings). In the reverse, we move away from those who bring us discomfort - those with whom we find nothing in common, or who grate on our nerves, make us see red, hold up our plans, don’t meet our expectations, give us headaches, or provoke other negative responses. The relationships that bring us pleasure and good experiences are likely to endear as well as endure, generating fond memories, long-lasting impressions and joyful feelings. In contrast, the relationships that bring us discomfort and cause negative experiences are likely to test our endurance; although their accompanying impressions, feelings, and memories may also last, we probably wish they wouldn’t. The ability to rev up your rapport is critical to creating enduring connections. Without it, you’re more likely to suffer the pain and stress of troubled relationships and disappointing connections. You may also miss out on wonderful opportunities and their power to transform. All are typical fallout from choosing a life of disconnection. Not only does rapport enhance your personal and professional relationships, it can also boost your company’s bottom line. Communicating with insight, perception, and empathy strengthens your efforts to keep customers happy, gain and maintain trust, regain favor with disgruntled clients and customers and increase the likelihood of getting their repeat business and their referrals. Likewise, building good rapport with colleagues increases the quality of your working relationships, with corresponding impact on productivity, creativity, cooperation, morale and overall job satisfaction. Pay attention. When conversing with someone by phone or in-person, give them your full attention. Don’t get distracted by other people or tasks. Don’t interrupt. When you interrupt someone, sensitivity, rapport and commitment are killed. If there is one thing people hate, it’s being interrupted. Treat others as special. To the extent that you treat someone as special and focus on their needs and concerns, they will immediately gravitate to you and want to deal with and work with you in the future. A good way to remember this concept is to greet every person you meet as if they were a long lost friend! Be interested not just interesting. This is the key to popularity. Too many people end up talking all the time, dominating the conversation and fail to have a two-way conversation. People love people who listen to them.